LAN networking is the fastest and easiest way to share data between two PCs. Since it connects both the systems directly, there is no need of any mediators like pendrives or external storage devices. But, the truth is, many of people who have a great knowledge on computers and software are not beware about how to connect two computers together. Many of my friends asked about this. 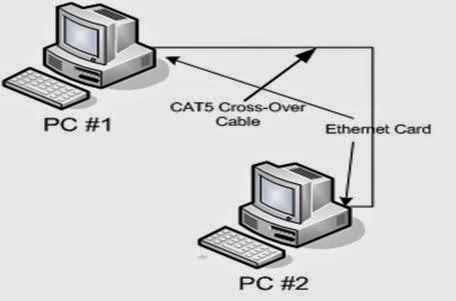 And here am sharing how to connects two computers together with RJ45 LAN cable. Setting up an LAN connection between two computer is easy as ABCD. D. Check the connection and share your stuff. 1. Network driver enabled computers. Name your computer. This is an easy job and not necessary to do but it's better if you name your computers. Now connect RJ45 cable on Network port of both computers. If the second computer is detected on My Network Places of first computer and vise versa, The computers are connected. We can check the connection via Ping commend also. Video on How to Connect two computers using LAN (RJ45) cable is coming soon.